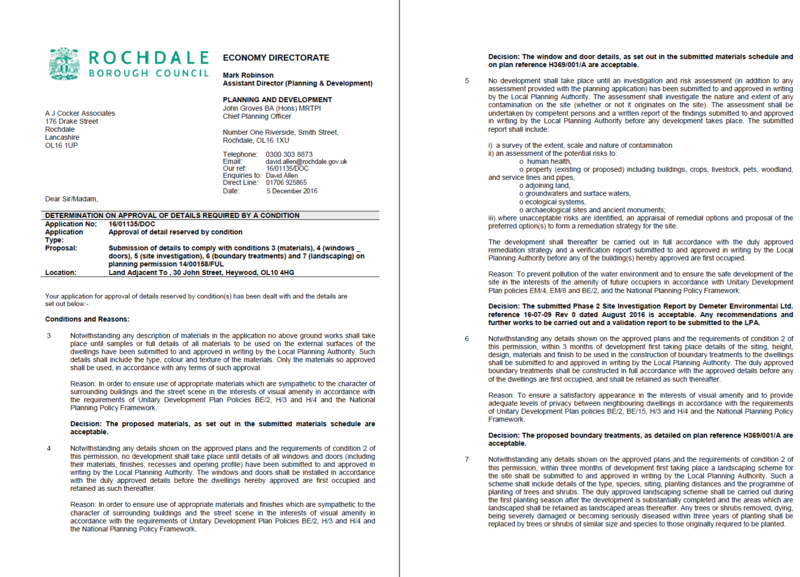 Due to the sensitive nature of the development a contaminated land planning condition was attached to the decision notice for the proposed residential redevelopment of the site. The first stage of discharging the condition was to prepare a desk study report, which was undertaken by others and recommended that intrusive works should be undertaken to assess both the site soils and issues relating to ground gases. Demeter Environmental were commissioned to undertaken the Phase II works, the review of the desk study report revealed the proposals were general and that the scope of works would be needed to be approved by the planning authority before undertaking the intuitive works. The assessment of the risks posed by ground gases was expanded and it was concluded that the incorporation of gas protection measures in lieu of ground gas monitoring was the appropriate approach. Once the detailed proposals for the intrusive Phase II works were approved by the local authority, the site investigation was undertaken. The site investigation comprised of the excavation of a number of trial pits, which indicated that made ground was present across the site. Chemical analysis of the made ground demonstrated the site soils did not pose a risk to human health, and the report concluded that provided the gas protection measures were correctly installed, the site would be suitable for use. The report was submitted to formally discharge the condition (16/01135/DOC ), the conclusions of the report were accepted and the memo can be accessed here.